What better way to leave a lasting legacy than by establishing a charitable trust in a loved one’s memory. Read a selection of memorials below that the Foundation honours. Born in Panjgrain, India, Lal Chand Wadhwa was the third child in a family of six. He had an older brother and sister and three younger brothers. In the early years, he lived in Ambala City and did his Bachelor of Science. He then worked on the Bhakra Dam Project in Nangal. In February 1961 Lal married Meena Birla. They had three children – Savita, the eldest who was born in Chandigarh, Anita, born in Ambala and Vikas in Kanpur. Lal worked at the Indian Institute of Technology at Kanpur and then lived in Bangkok, Thailand for five years, completing his Masters and Doctorate in Engineering at the Asian Institute of Technology. In 1975 he moved with his family to Townsville, Australia, where he worked at James Cook University as a Lecturer. He remained at the university to become head of the department and lectured worldwide as a highly respected Civil and Systems Engineering Professor. He was highly regarded in the field of Engineering and supervised many PhD candidates, who proceeded to make remarkable achievements in the development of Australia. He remained an active and long-term member of Engineers Australia. 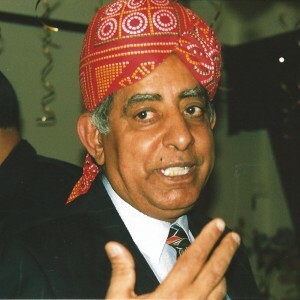 He retired as Professor Lal Wadhwa, Head of Civil and Environmental Engineering in 2003. He became active in volunteering in Townsville at the Perc Tucker Gallery, Tourism Townsville and Meals on Wheels. He became a leader of multiculturalism in the city, bringing together the Indian and Australian communities. Lal Wadhwa was recognised in 2011 as Townsville’s Senior Citizen of the Year. Born in Harunabad, Pakistan, Meena Wadhwa(nee Birla) was the fourth child in a family of six. She had two older brothers, a sister and two younger brothers. In the early years, she lived in Ambala City, Haryana, India. In February 1961 Meena married Lal Chand Wadhwa. They had three children; Savita, the eldest who was born in Chandigarh, Anita, born in Ambala and Vikas in Kanpur. Meena and her family lived in Bangkok, Thailand for a couple of years before moving permanently to Townsville, Australia in 1975. Meena completed numerous courses in computers and hospitality and achieved a Diploma in Childcare. During her time in Townsville, she successfully ran two restaurants and a childcare centre. Meena was known for her warm and welcoming nature, her friendly and bubbly personality, and her infectious laughter. Her contagious positive energy had the ability to uplift the spirit of all those around her. 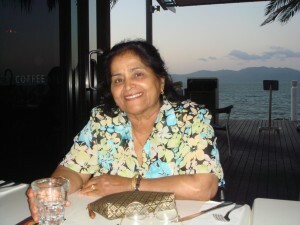 Meena was passionate in the arts of cooking, sewing, knitting and crafts, and enjoyed meeting new people. She fulfilled her responsibilities of being a loving and caring wife, mother, grandmother and great grandmother. She travelled extensively to many parts of the world with her husband and knew how to live life to the fullest, making friends all over the world. Meena moved to Melbourne in 2011 with her husband when he was diagnosed with a serious illness. During that difficult period, she was an enormous pillar of strength for her husband and the entire family. Meena leaves behind her loving children, daughters Savita and son in law Bipen, Anita and son in law Suren, son Vikas and daughter in law Aanchal, grandchildren Vishal, Sapna, Dinesh, Seema, Rahul, Sanya and Mahika and a great grandchild Cooper. Born in Karachi, Pakistan, Mr Satya Vir Kapoor was the second of five children of Mr C B Kapoor and Mrs Prakashvati Kapoor. Satya Vir Kapoor was a charismatic individual, naturally talented in music and song. He was always jolly and created friendships with ease. He was a masterchef in his own right. Whether it be music or cooking, few ingredients other than his talent were required to create magic. He married his beloved Indra Kapoor in December 1971 and they had a daughter, Aanchal in January 1973. 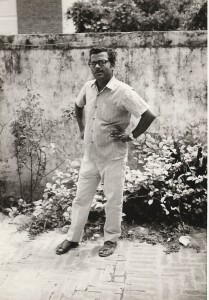 Satya worked as a civil engineer in constructing infrastructure in Iraq between 1978 and 1982. Friends and relatives remember the magnificence of an amazing individual; one that has touched the hearts and brought smiles to so many.